What Is The 2040 Plan? 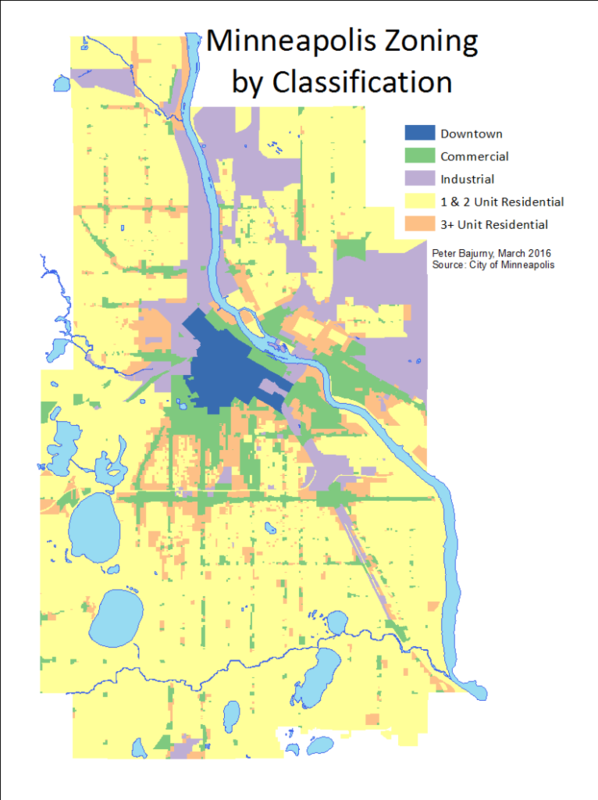 There are many city improvements incorporated into the Minneapolis 2040 plan. The focus for the Real Estate world is the removal of zoning laws. First, let me give a quick explanation of zoning. The concept is that certain areas are set aside for designated uses such as residential homes and commercial buildings. This is why there is a sharp divide between the business sector and the residential areas of cities. Additionally, some areas are limited to single family homes while others allow rental buildings, condos, or rentable duplexes. Zoning is used in nearly every city, suburb, and town across America. Many people choose single-family neighborhoods because they offer less traffic and people. These neighborhoods offer a quieter lifestyle. Single-family only neighborhoods will no longer be an option in Minneapolis. The 2040 plan, according to my knowledge and research, is the first to remove zoning completely. This has never been done before and we will experience innovation in a classic city structure. Only time will tell if this innovation will be good or fall short of its good intentions. How Will It Affect People? One of the main reasons for the removal of zoning laws is to create more affordable housing. Residents will see the effect on rent prices more than mortgage loans. Without zoning restrictions, more people and builders will have the opportunity to create rental properties. Residents can remodel their homes to rent out a basement or second floor that may have been previously banned by zoning laws. Single-family only areas will be able to build apartment buildings, duplexes, triplexes, or any number of plexes! With more inventory, renters will have more options. This means that landlords will face more competition and need to price rentals accordingly. The push for lower rent is projected to create the affordable housing the 2040 plan promises. However, some current homeowners worry the Minneapolis 2040 Plan will negatively affect their home’s value. This is a valid concern and there is no accurate way to gauge if there will be an effect, how large it will be or if it will be negative. Why Is Minneapolis Doing This? As I mentioned, the big reason is creating an incentive to build rental structures. The hope is that this will, in turn, create affordable housing by increasing the number of rentals. 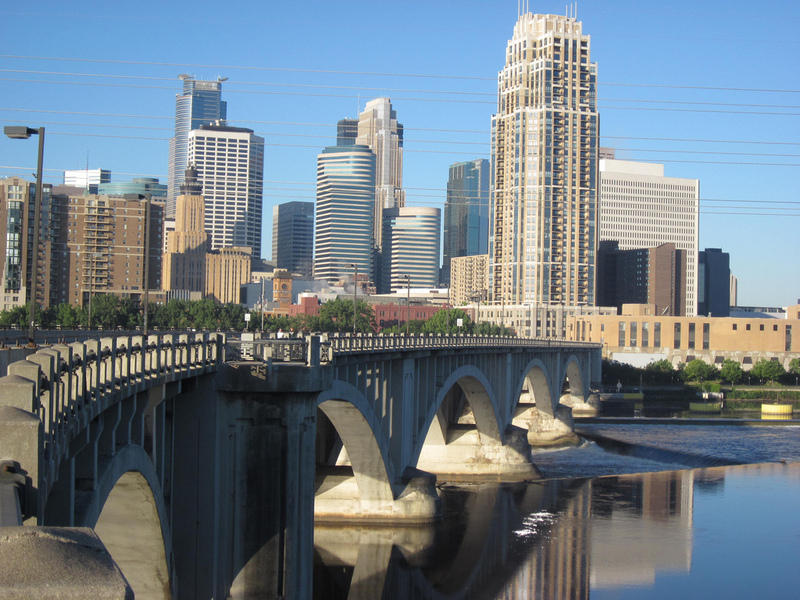 Minneapolis expects 200,000 new residents within the next decade. The fast growth of people usually leads to price leaps with limited available rentals. This often leads to people leaving the city to affordable housing options in the suburbs. Another reason is Minneapolis’ rent is already disproportionately high when compared to other cities. Minnesota’s property taxes are on par with the national average meaning this is not why our rent is higher. There are roughly 422,331 people in the Minneapolis metro area and the average rent cost is $1,457. For comparison, Chicago has 2.716 million people in the metro area and the average rent price is $1,893 which is only $436 more. Chicago is 1.7 times larger than Minneapolis when it comes to square miles. However, Chicago’s population is 6.4 times larger. This illustrates that Minneapolis rents are disproportionally high for the population and square footage. There are many other factors contributing to rent price just as there are dozens of factors deciding the price of single-family homes surrounding the city. I only focused on population, square footage, and climate in this comparison. This is still a strong indicator that there is a problem with the rising rent prices in Minneapolis. Minneapolis is learning from other cities and correcting their rent problem before the city becomes unlivable. Several cities have fallen prey to unreasonable rent prices. For example, a two-bedroom apartment in San Francisco is about 4,000 dollars! Some cities use “rent control” to ensure affordable rentals. New York City has a rent control rule which forbids raising rents unless adjusting for inflation. This is not common and 37 states have laws that indirectly forbid this practice. The 2040 Plan is experimental but avoids controlling what landlords charge. There are plenty of reasonable conflicting opinions on the plan and plenty of good reasons for it too. We can all agree affordable housing is good and the 2040 plan is Minneapolis’ way to achieve this. The 2040 website details every aspect of this plan including the goals not associated with affordable living. Please visit this link to explore the 2040 plan more thoroughly. For more information on Real Estate market trends, selling or buying a home read my other posts! 3 Unemployment Rates Are Down. What Does That Mean For Real Estate? If you have any questions, please let me know, I’m always happy to help. You can give me a call at 612-889-6496 or send an email to [email protected]l.com. Read what Sheryl’s clients are saying about working with her and the Selling South of the River team! Get a Virtual Price Opinion from Sheryl!